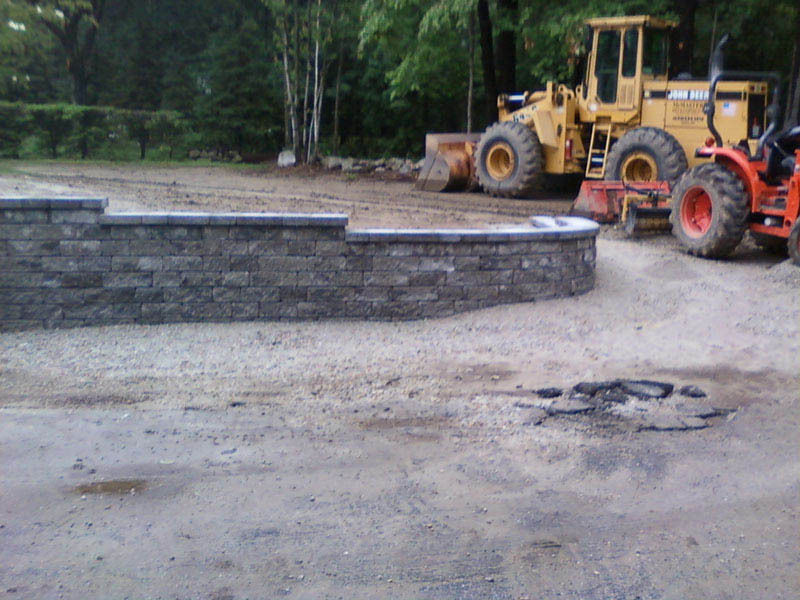 landscape design may include retaining walls and/or decorative garden walls. 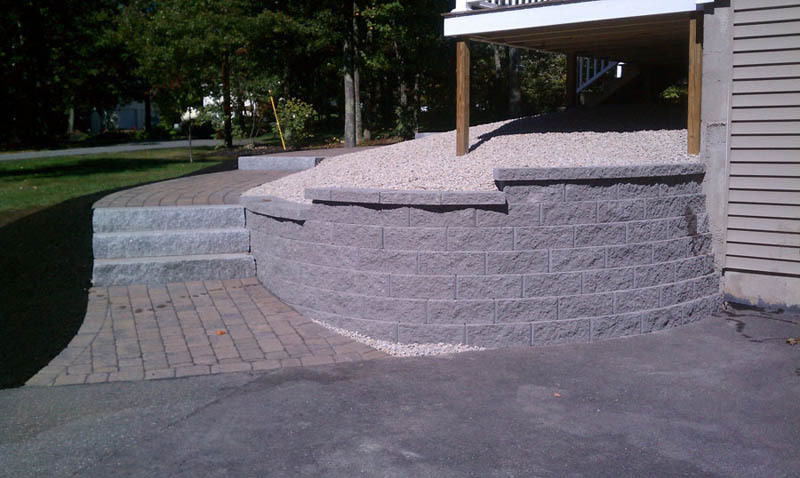 The difference between the two is the function they are to serve in your landscape. 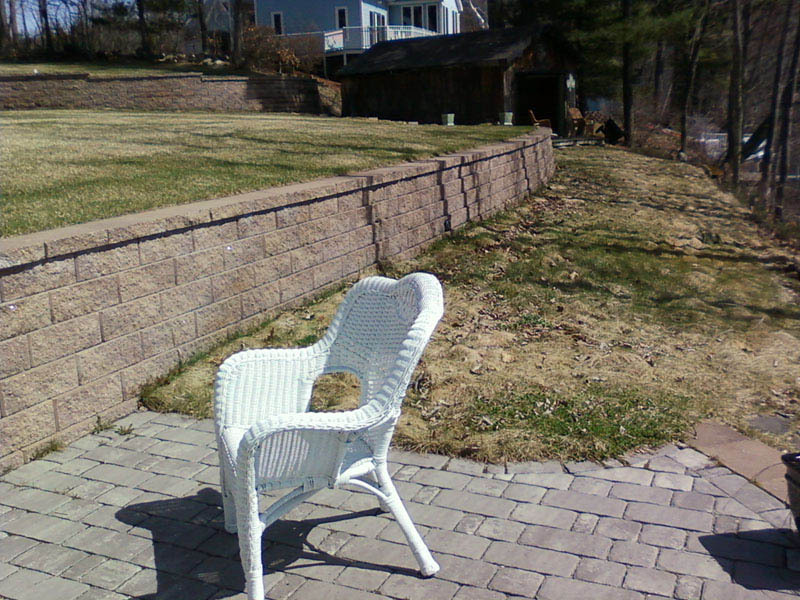 S and S Landscaping can install retaining walls of dry rock or dry block. 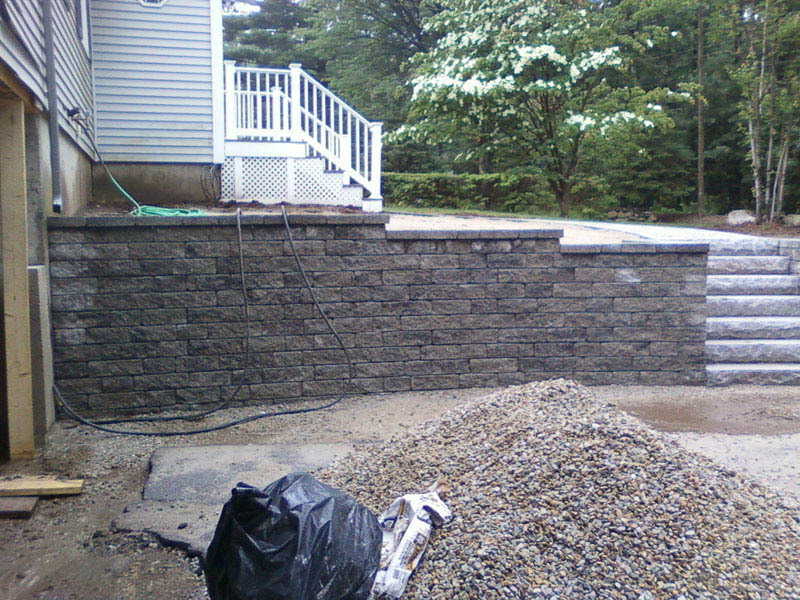 (“Dry” means that the wall is constructed with little or no cement or mortar, “rock” refers to natural stone, and “block” refers to man-made concrete blocks made to look like stone.) 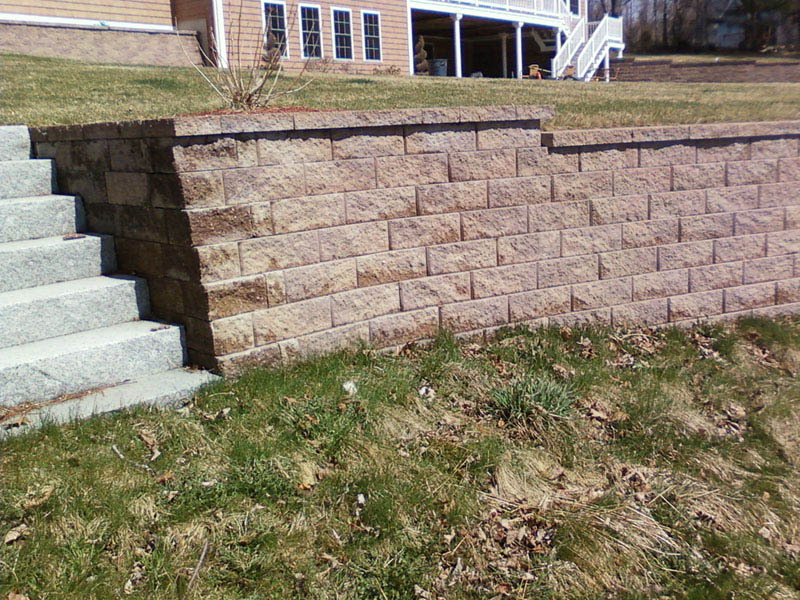 Because there is little or no cementing agent used, these retaining walls are porous and will allow water to pass between the joints in the stone or block. 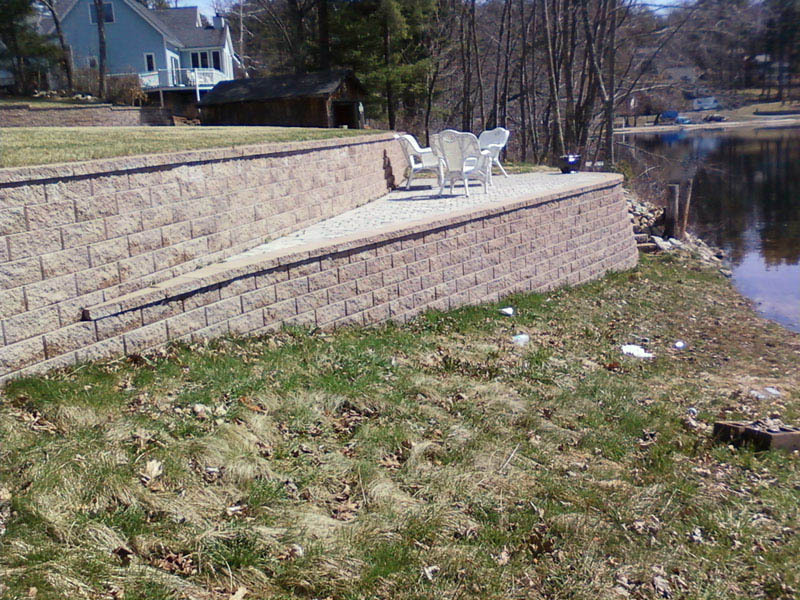 Gravel back fill can be used behind the retaining wall to further facilitate drainage as well. Create more usable space and add structure and beauty to your yard. WHY WOULD I NEED A PROFESSIONAL LANDSCAPER TO INSTALL MY RETAINING WALL? 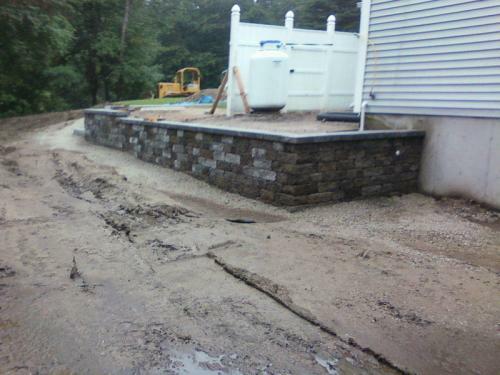 Let S & S Landscaping properly design your dream wall or stairway. Please don’t hesitate to contact S & S Landscaping to learn more about our Hardscape and Stone services.